Nuwara Eliya has vague reflections of England; an incongruously red telephone booth; a brick, Tudor style post office with a clock spire; acres of lush green golf courses; Clubs that require formal wear and black ties to dinner appointments; tea service had outdoors; parks that afford long, leisurely strolls; gardens that flaunt a shock of bright coloured roses, lilies, hydrangea and other blooms; British colonial style, grand houses; all these add to the charm that has earned its fame as 'Little England'. Then of course there is its climate: the chilly, hillside, pleasantly cool climate. 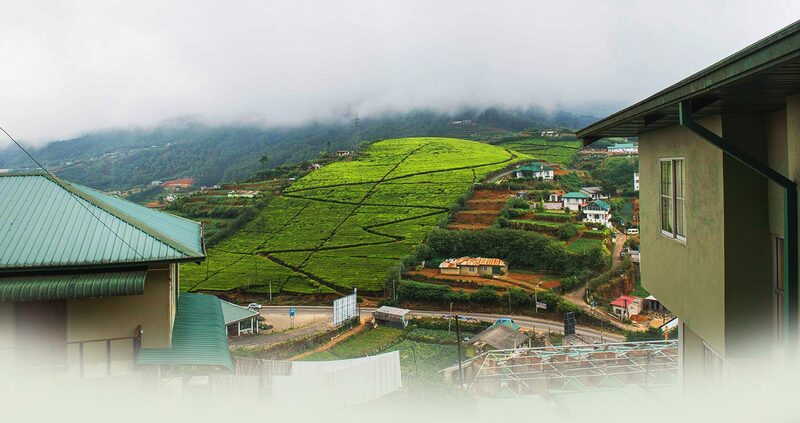 Besides being a feast for the eyes, Nuwara Eliya boasts of a few interesting attractions. About 6Km away from the Cottages is the scenic Lake Gregory. Designed under the orders of a British Governor, the recreational space offers relaxing boat rides, swan boat paddles, and even horseback rides. A 3 minute walk away from the Lake brings one to the Racecourse. At 6,128 feet, the Sri Lankan Racecourse at Nuwara Eliya is a rare one on such high elevations. Five horse racing meets are held here in the month of April; during this time, the area comes alive with carnivals, exhibitions, tournaments, games, food stalls and a variety of entertainment. This is also considered the best time to escape Colombo's pre-monsoon heat. Another venue, ideal to take a pleasant stroll in the cool of the evening, is the Victoria Park. Just about 4Km away from the Cottages, the Park is said to be named to commemorate the 60th Jubilee Coronation of Queen Victoria in the year 1897. Set in 27 acres, and adorned with predominantly foreign plants that bloom in summer, especially in April, the Park is a lovely place to sit back and enjoy the scenery. A large number of rare bird species too can be found in the park, making it a great spot for bird watchers. There is also a children's playground at the back of the Park. Located approximately 40 minutes drive along the Lake Gregory main road is the Moon Plains. The main attraction here of course is the dramatic mini world's end that offers a 360° view of the surrounding cities, mountains, valleys, tea plantations and even faraway paddy fields. The Plains is home to elk, wild buffaloes, deer and many types of birds. It is also visited by elusive leopards. Moon Plains is open from 7am to 5 pm daily, every day of the week. Jeeps are let out for hire at the entrance. Another treat to nature lovers of course is the Hakgala Botanical Gardens situated 13km away from the Cottages. With over 10,000 species of flora planted here, the Garden is famed for its roses and orchids. The splash of colour offers a truly exhilarating sight. Legend has it that this was a pleasure garden gifted to Sita by the Demon King Ravana in an attempt to lessen her sorrow.